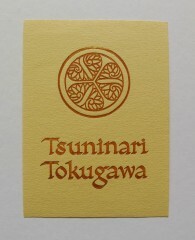 Engraver on wood and stone, Calligrapher. 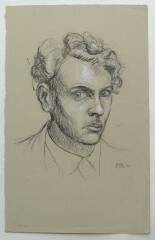 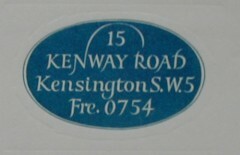 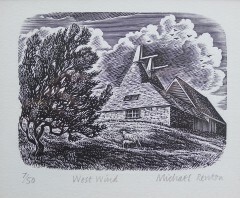 Born in Middlesex, Renton studied at Harrow School of Art (1949-50) and was then apprenticed as a commercial wood engraver to S. Slinger Ltd in Horseferry Road, London, where he stayed until 1960. 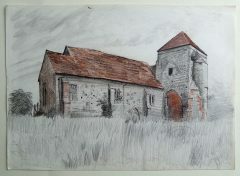 He served in the RAF on National Service for two years. 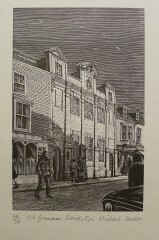 Whilst working at Slinger’s he attended evening classes at the City and Guilds Art School. 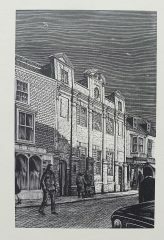 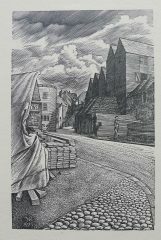 In 1960 after he moved to Icklesham, near Winchelsea there he worked as a free lance artist illustrating books for various private press’s such as the Fleece Press, Folio Society. 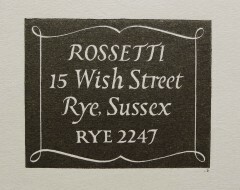 In Rye, he painted many shop fascia signs. 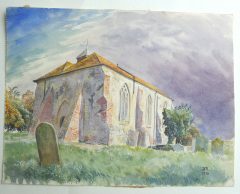 Being a stone cutter, he also carved gravestones, so when he was forced to leave Winchelsea he moved to Winchester where the Dean and Chapter of the cathedral had been his patrons. 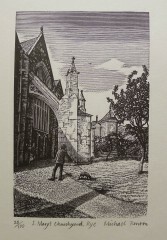 He concentrated on carving head stones, carving his own in 1998. 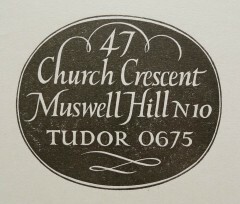 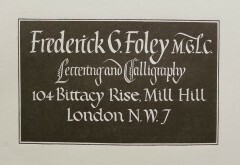 But it was during this time that he taught typography as a visitor at Reading University, he was a member of the Letter Exchange and gave a lecture there at Art Workers Guild in Queen’s Square. 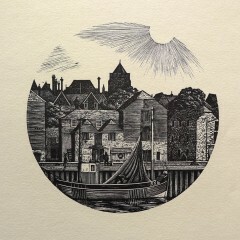 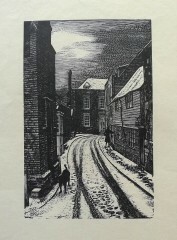 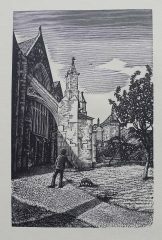 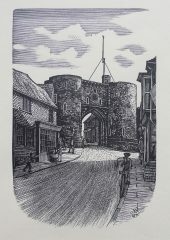 Some of the views of Rye were made to illustrate the book ‘Portrait of Rye by Malcolm Saville, published 1976. 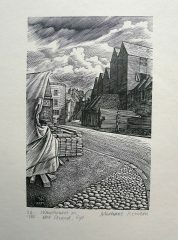 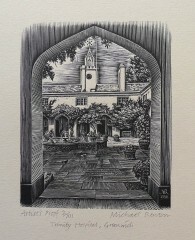 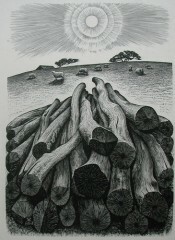 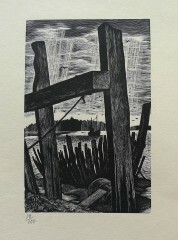 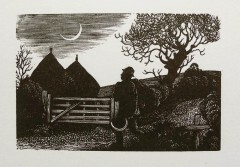 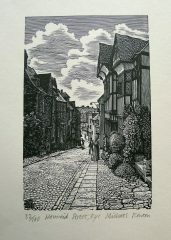 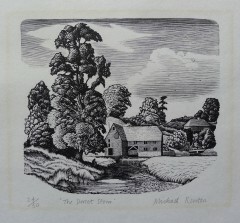 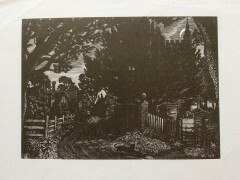 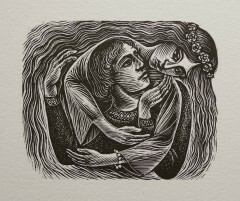 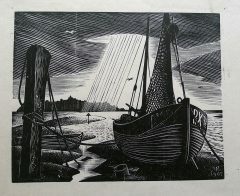 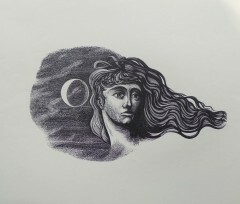 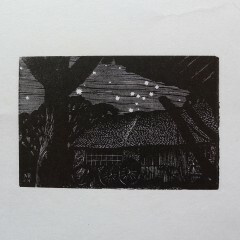 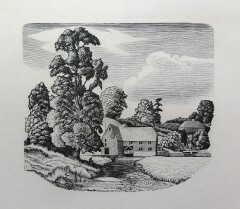 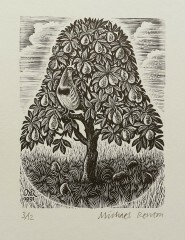 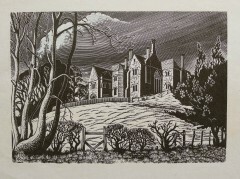 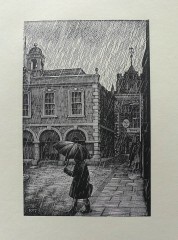 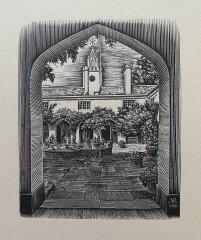 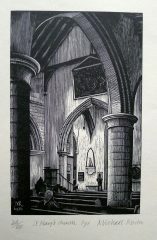 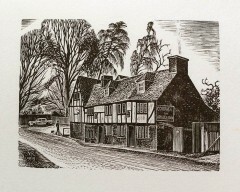 Many of the wood engravings that I have for sale are from the artist’s estate.Many are unsigned. 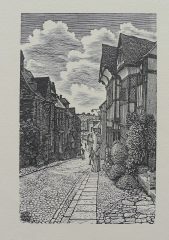 We believe that although he would print a quantity of either 50 or 100 copies from the wood block, he would only sign and number a few at a time. 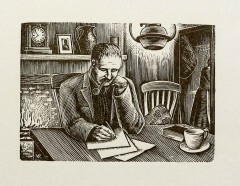 Therefore most of the signed and numbered copies are of low edition number, as many were not sold. 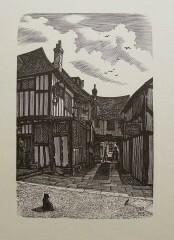 Therefore signed prints are quite rare. 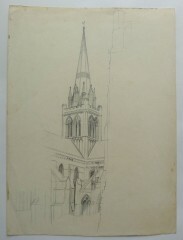 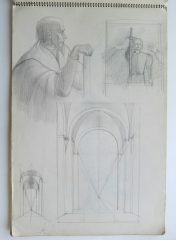 An original pencil and ink sketch of a church. 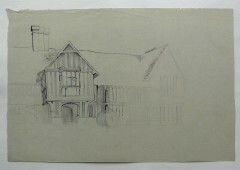 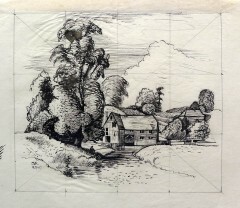 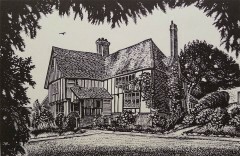 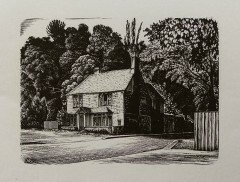 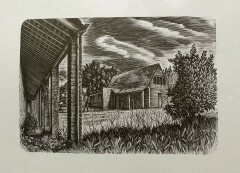 An original pen-and-ink and pencil sketch of a Kent farmhouse. 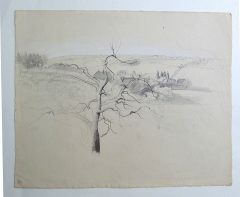 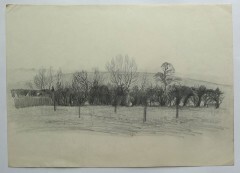 Michael Renton pen-and-ink and pencil sketch of a coastal road with trees. 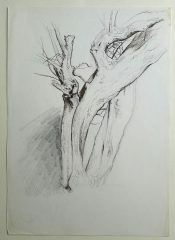 An original pen-and-ink and pencil sketch of trees. 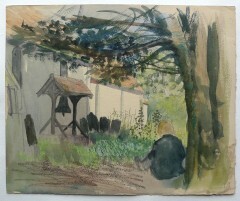 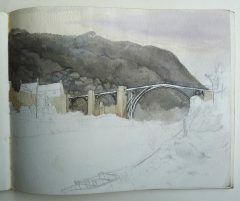 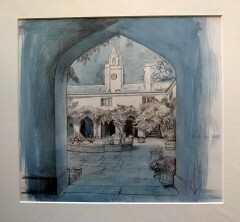 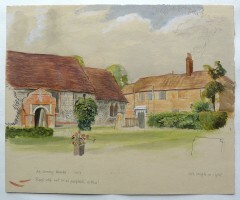 An original water-colour sketch of Wigmore. 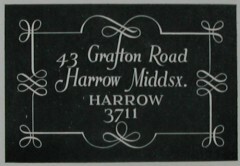 (April 1970). 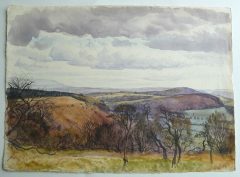 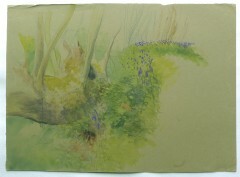 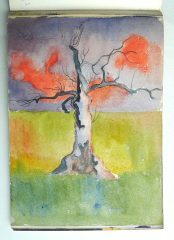 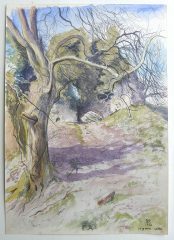 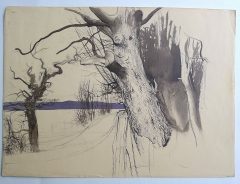 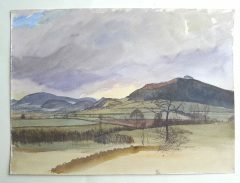 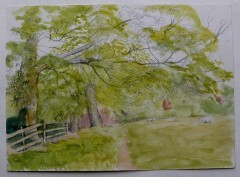 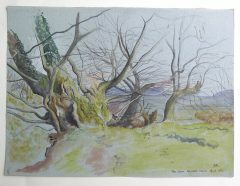 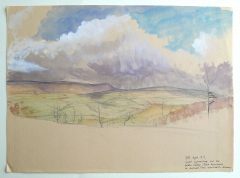 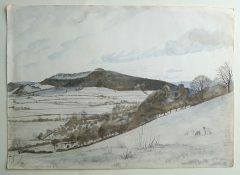 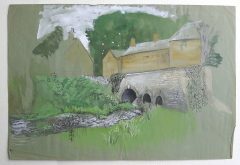 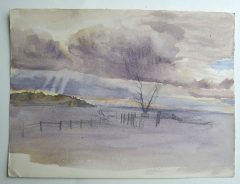 An original water-colour sketch ‘Trees below Wigmore Castle April 1972’. 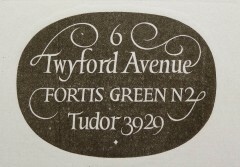 Initialled by the artist. 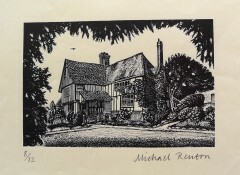 Michael Renton. 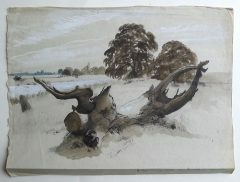 An original water-colour sketch ‘By Royal Military Canal near Garsthorne (?) 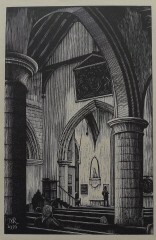 August 1971. 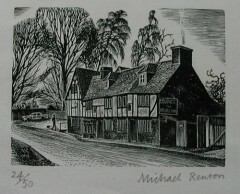 RENTON, MICHAEL. 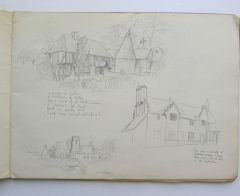 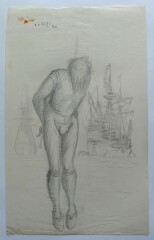 Original working sketchbook. 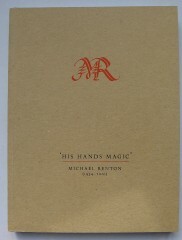 Michael Renton. 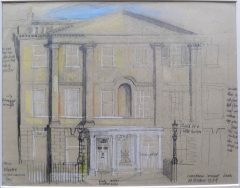 Drawing of Lansdown Crescent in Bath. 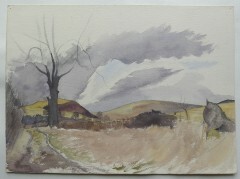 ‘Winter Landscape’. 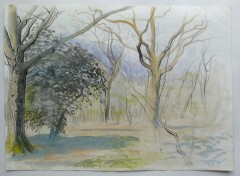 Pencil and wash.